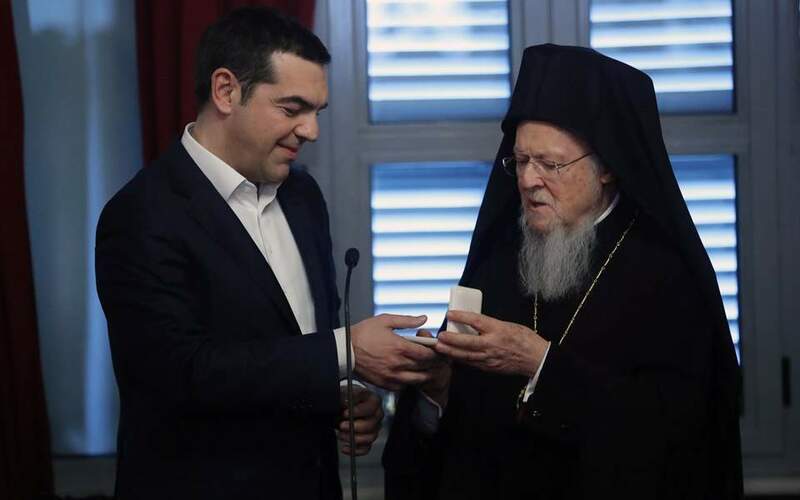 Ecumenical Patriarch Vartholomaios and Greek Prime Minister Alexis Tsipras on Wednesday expressed their shared hope that the Halki Orthodox seminary, which was shut down by Turkish authorities in 1971, will soon reopen. “Religious faith should bring people together, not divide them,” he said. Tsipras and Vartholomaios earlier attended a mass at the church of Hagia Triada (Holy Trinity). Perched atop a hill on the Marmara islet with the same name, the Halki seminary was operated by the Ecumenical Orthodox Patriarchate until a Turkish court ordered the school shut under a law curbing non-state religious education. In comments made after his meeting with Tsipras on Tuesday, Erdogan linked the question of the reopening of the Halki seminary to the ability of the Muslim minority of Thrace to appoint its own muftis. Founded in 1844, the Halki seminary was the training center for many Orthodox leaders, including Vartholomaios.